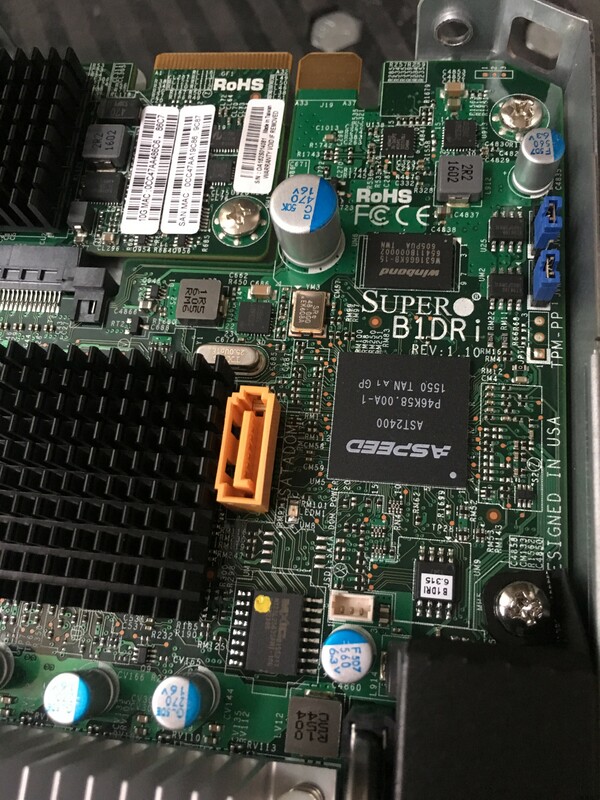 Supermicro, hardware trojans, and BMC security – Mark Eldridge – Security, software engineering, and technology. Bloomberg broke this story last week, and it’s an incredible read. The story would be enough of a bombshell on its own, but making things more interesting is the vehement denials of the story by both Apple and Amazon. As a few people pointed out, this sort of direct and specific refutation isn’t what you’d expect to see from SEC-regulated companies unless they’re very sure that they’ll be proven right by a subsequent investigation. It’s a weird situation to be in. The Register also published this piece on the Bloomberg claims which provides a good summary of the story and the significance of the Apple and Amazon denials. The grugq also has a good writeup of the story here, and Patrick Gray released a Risky Business feature interview on the Bloomberg story and hardware attacks generally. Since last week there have been a few more data points (including from the UK’s GCHQ and the U.S. DHS) supporting Apple and Amazon’s denials and suggesting that Bloomberg might have got specific parts of the story wrong. It’s a fascinating standoff. Meanwhile, Supermicro’s share price is down almost 50% from last Thursday. Until we get more information (or someone finds a compromised Supermicro motherboard and pulls it apart), it’s worth talking about how feasible this sort of attack actually is. Supply-chain security has been an active area of discussion for years, and this story was like dropping a grenade into the middle of it. This scheme is less crazy than it might seem. Modern circuit boards are filled with small support chips, and the backdoor chip would appear to be just another faceless component to all but the most detailed examination. And while the Bloomberg article doesn’t go into the mechanics of how this would work, there’s one likely culprit: the serial EEPROM chip or a serial FLASH chip, which is used to store program and other instructions used during the startup process. The BMC itself loads at least some data from such a chip, which itself needs only two wires to communicate—so it would only take two connections for a rogue chip to mask the contents of a SEEPROM or SPI FLASH, replacing the contents and thereby corrupting the BMC by installing the backdoor code. It’s worth expanding on this, as not many people will know what a BMC is or does unless they’ve spent some time administering or securing servers. Modern servers come with a Baseboard Management Controller (BMC), which is a separate processor designed for managing the server hardware. The purpose of the BMC is to provide out-of-band management: allowing administrators to remotely control the server hardware independent of the operating system running on top of it. In the simplest case, if you have access to the BMC you can remotely interact with the server as if you were physically in front of it with a monitor and keyboard. A BMC is typically installed directly onto the motherboard of a server where it is able to directly control and manage the various hardware components of the server independent of the host and guest operating systems. It can also repair, alter, or reinstall the system software, and is remotely controlled over a network or dedicated channel by an administrator. It allows IT staff to manage, configure, and power cycle boxes from afar, which is handy for people looking after warehouses of machines. Because BMCs operate at such a low level, they are also valuable targets for hackers. Yep. We’ll come back to that. Many BMCs are also responsible for loading the firmware for other devices on the board such as network controllers, and they have the ability to directly interact with the host operating system via direct memory access (DMA) and hardware interrupts. This means that if you manage to compromise the BMC, you can inject malicious code into the actual host operating system running on the server itself. With this much power over the server’s hardware and the host operating system, access to the BMC is incredibly sensitive: if you own the BMC, you own the server. In short, the authentication process for IPMI 2.0 mandates that the server send a salted SHA1 or MD5 hash of the requested user’s password to the client, prior to the client authenticating. You heard that right - the BMC will tell you the password hash for any valid user account you request. This password hash can broken using an offline bruteforce or dictionary attack. Since this issue is a key part of the IPMI specification, there is no easy path to fix the problem, short of isolating all BMCs into a separate network. That’s right: send a GET request to a particular port on the BMC interface, and the server will dutifully send you the admin password. I’ve had great fun with this one on previous engagements. The list of security problems in BMC software is long, so to summarise: it’s bad. We don’t do a good enough job of securing this layer of our IT systems, and once it’s compromised, it’s very difficult to detect or remove. It’s not limited to servers, either. Intel’s own Management Engine (IME) acts as a BMC for desktop and laptop systems, and has had plenty of high-profile problems of its own. Successful exploitation gives the attacker an incredible amount of control over a system. Among other things, owning IME means you have the world’s best rootkit (you can persist in a system even after someone wipes or replaces the hard drive). Patching is hard, and requires a reboot in most cases (not trivial on production infrastructure). Many people don’t even know IME exists or what it does, and a lot of organisations might not be aware that they’re even using systems which have IME enabled. That last point is arguably the biggest problem: many organisations aren’t even aware that this is a risk they need to worry about. Hardware trojans like those described in the Bloomberg article are probably outside the threat model for many enterprises, but software attacks against insecure BMC and IME installations are well within the skillset of sophisticated criminal groups. We should know in a few week’s time whether or not specific parts of the Bloomberg story were accurate, and at this point it’s not looking good. Either way, it’s important to remember that this type of hardware trojan is absolutely feasible, and that we need to take two things much more seriously: the security of our supply-chain, and the security of our BMCs.